On Monday, the U.S. Supreme Court decided Husky International Electronics, Inc. v. Ritz. Justice Sotomayor wrote the decision, which reversed the lower court's narrow reading of "Actual Fraud." To support this decision the Court set out to revive the common law definition of "Actual Fraud." I noticed no dictionary definitions of "Actual Fraud" were cited in the Court's opinion, so I pulled up Spinelli's Law Library Reference Shelf, a database on HeinOnline, to take a closer look. 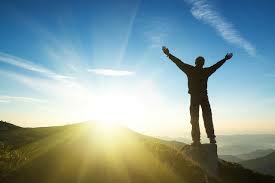 "Frauds may be also divided into actual or positive and constructive frauds. An actual or positive fraud is the intentional and successful employment of any cunning, deception or artifice, used to circumvent, cheat or deceive another. 1 Story, Eq. Jur. § 186; Dig. 4,3,1,2; Id. 2,14,7,9." Bouvier's Law Dictionary, Adapted To The Constitution And Laws Of The United States Of America, And Of The Several States Of The American Union 590 (2d ed. 1843). I love finding obscure facts online. This week I stumbled across an interesting law and wondered what other weird laws Washington has. 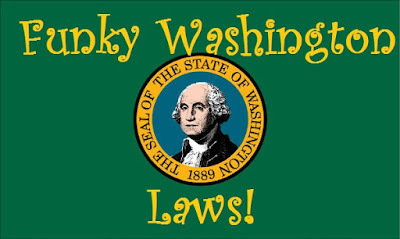 I hope you enjoy these five funky Washington laws! 1. 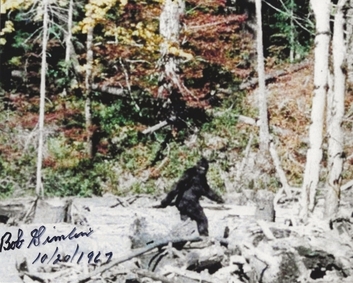 It is illegal to kill, or harm, a Bigfoot in Skamania County, Washington. To do so is punishable by a substantial fine or imprisonment. 2. 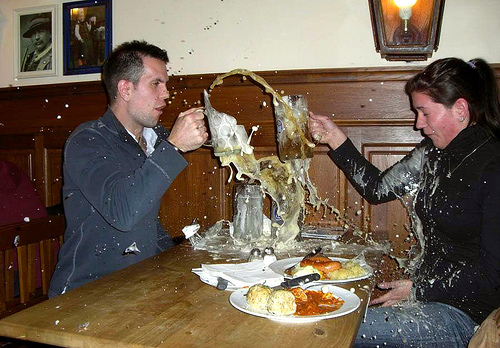 Destroying a beer cask, or bottle, of another is illegal under the RCW. 3. Thanks to RCW 70.98.170 it is illegal to use X-rays to fit shoes. Looks like you're going to have to settle for trying the shoes on now. 4. 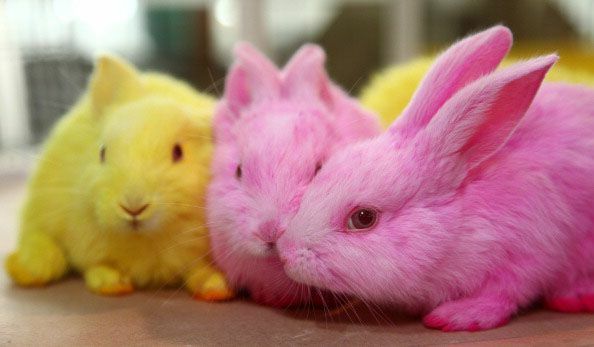 Seattle Municipal Code 9.20.010 says that is is a unlawful to color, dye, stain, or in any way change the natural color of any fowl or rabbit. So, no pink rabbits here! 5. 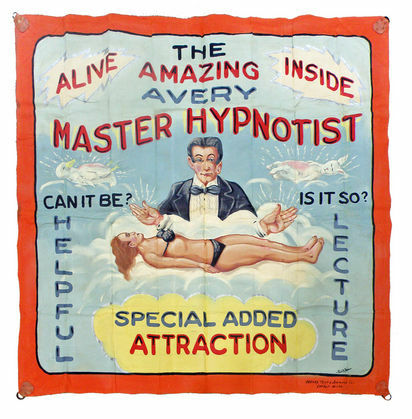 In Everett it is unlawful for a any hypnotist to display in any window or public place any person while under the influence of hypnotism. It is a violation of Everett Municipal Code 09.24.010 and can be punished by a $500 fine or imprisonment of up to six months! 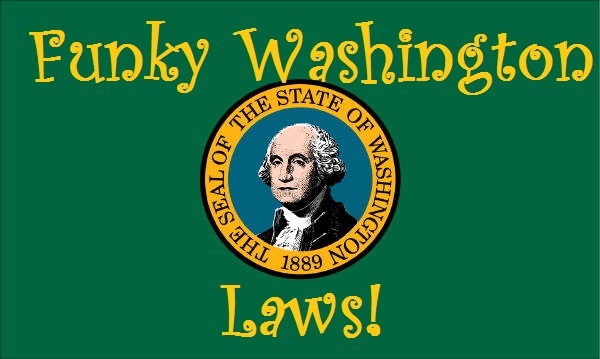 If you want to find other funky Washington laws check out this website. That is the title of a post on Justia's Verdict site. Written by Vikram David Amar and Greg Miarecki (University of Illinois College of Law), these tips are specific and practical. Exhibit a positive, enthusiastic attitude. Don't be afraid to come in early and stay late. Focus on the larger unit or organization. Do and show your best work. Communicate and interact in a manner appropriate for your audience. Seek out new work assignments and new work experiences. Request feedback, actively but tactfully. Get to know people in the office. Always maintain a customer-service mindset. Although these tips repeat what you might have already heard, they are handy reminders. And may you shine as brightly as the summer sun! 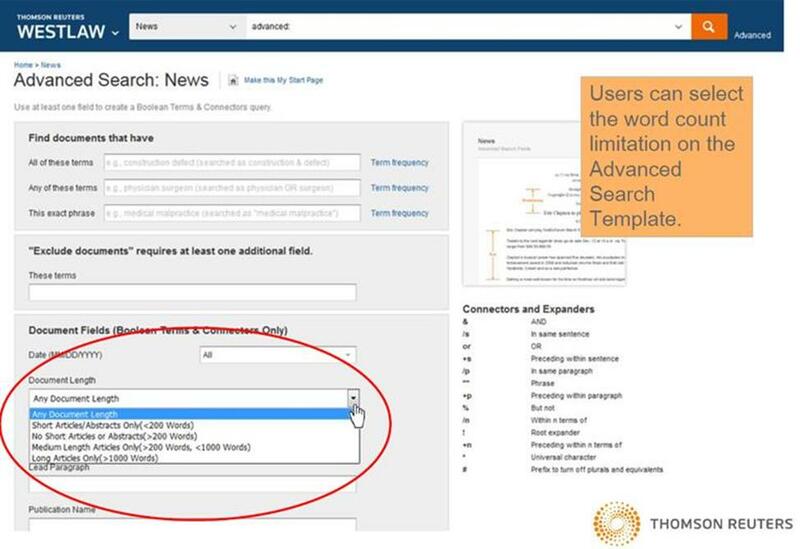 Searching for news articles on Westlaw usually yields thousands of hits. It can be a real slog to browse the list of hits looking for longer, more substantive articles. 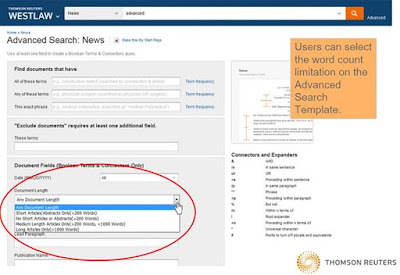 Now, Westlaw offers an option to limit results from a news search by the length of the article. With this new option, you can quickly retrieve in-depth, fact-filled articles on your subject of interest. You catch headlines about refugees all the time, but maybe you'd like a little more depth and analysis. 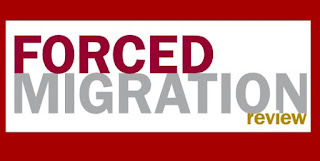 Check out Forced Migration Review, published by Oxford University's Refugee Studies Centre. Forced Migration Review "presents concise, accessible articles in a magazine format. Each issue has a feature theme and, usually, a range of general articles on forced migration. FMR is published in English, French, Spanish and Arabic (and occasionally in additional languages), and is available free of charge in print and online." The latest issue has articles discussing displaced people from Syria, Libya, Nigeria, and Colombia, among other countries. 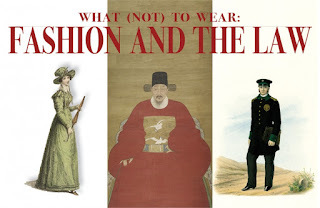 The U.S. Supreme Court recently granted certiorari in a major fashion law case, Star Athletica, LLC v. Varsity Brands, Inc., so it seems like a good time to promote the Harvard Law School library's online exhibit on Fashion and the Law. 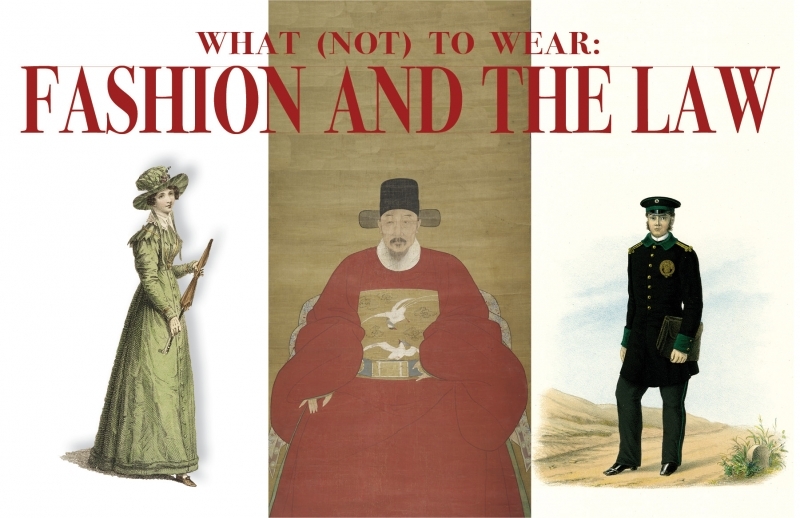 "What (Not) To Wear" does not signify fashion faux pas so much as it concerns the historical regulation of wearable things. The exhibit is divided into three sections: 1. Sumptuous Origins, 2. Ceremony and Significance, and 3. Rules and Regulations, and it delves heavily into legal history. It's unlikely the Court will travel as far back into fashion law history as this exhibit goes; Star Athletica, a copyright case, is not a good vehicle to discuss sumptuary laws. What are sumptuary laws? Go to the exhibit and find out! The Gallagher Law Library Japanese legal research guide is completely revised, with a new look, a new link (http://guides.lib.uw.edu/law/eald/japan-az), and a new name: Japanese Law A-Z. For you, a cold soda might be a refreshing drink or a mild vice (or a little of both). But there's a much bigger picture. Sugar-sweetened beverages are a huge global industry with equally large impacts on global health, as explored in a new study from coauthored by affiliate professor Allyn Taylor, Carbonating the World: The Marketing and Health Impact of Sugar Drinks in Low- and Middle-Income Countries (Center for Science in the Public Interest, 2016). Summaries (in English, Spanish, and Portuguese) are here. For more about global health at UW Law, see the webpage for the Center for Law, Science and Global Health. This Friday, May 6th, Gallagher Law Library is closing 1/2 hour early at 5:30 p.m. The Circulation Desk will close at 5:15. All visitors, students, faculty, and staff, must leave the library and Gates Hall at 5:30 p.m. UW Law faculty, staff, and students, please see your email for more details. The reason for the closure is a planned power outage to the entire building. This outage will affect the library's website (including legal research guides), the library catalog, and a few other resources. Most electronic databases will not be affected. The School of Law website will be similarly affected. Both sites should be back online on the morning of May 7th. 13 U.S.C. § 113 established May 1 as Law Day, U.S.A., which "is a special day of celebration by the people of the United States--in appreciation of their liberties and the reaffirmation of their loyalty to the United States and of their rededication to the ideals of equality and justice under law in their relations with each other and with other countries; and for the cultivation of the respect for law that is so vital to the democratic way of life."